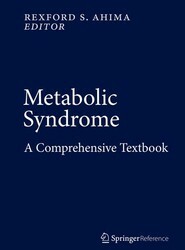 This comprehensive reference work edited by one of the leading authorities on obesity presents an up-to-date survey of the current scientific understanding of the metabolic syndrome, as well as an overview of the most significant changes to the field over the past 30 years. 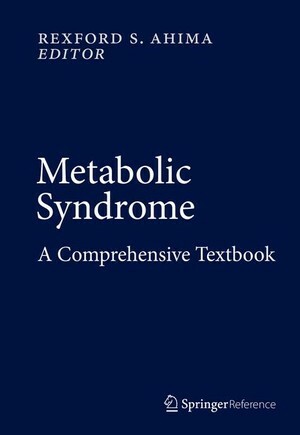 This volume is a thorough reference for obesity and the metabolic syndrome and will prove an indispensable resource for clinicians and researchers at levels worldwide.​ The obesity epidemic has generated immense interest in recent years due to the wide-ranging and significant adverse health and economic consequences that surround the problem. Much attention has been focused on behaviors that lead to obesity, in particular to over consumption of energy-dense food and to sedentary lifestyle. However, obesity is an extremely complex condition with poorly defined pathogenesis. In addition, when combined with other comorbidities such as hypertension and dyslipidemia, obesity often leads to a patient diagnosis of metabolic syndrome, a very troubling condition that has grown, and is continuing to grow, rapidly each year in prevalence worldwide. Metabolic syndrome is a cluster of conditions — increased blood pressure, a high blood sugar level, excess body fat around the waist and abnormal cholesterol levels — that occur together, increasing one’s risk of heart disease, stroke and diabetes. This resource covers the full range of scientific and clinical aspects: epidemiology, genetics, environmental factors, pathophysiology, diseases associated with obesity, and clinical management. Dr. Ahima is a Professor of Medicine at the University of Pennsylvania. He received a BSc from the University of London, MD from the University of Ghana, and PhD from Tulane University in New Orleans, Louisiana. He did an internship and residency in internal medicine at the Albert Einstein College of Medicine, Jack D. Weiler Hospital and Jacobi Medical Center, in New York. He then moved to the Beth Israel Deaconess Medical Center and Harvard Medical School in Boston, for subspecialty training in Endocrinology, Diabetes and Metabolism, and postdoctoral research in the laboratory of Dr. Jeffrey Flier. the National Institute on Alcohol Abuse and Alcoholism. Dr. Ahima is a past Associate Editor of Gastroenterology, and the Journal of Clinical Investigation, and currently a Co-Editor of the Annals of the New York Academy of Sciences Year in Diabetes and Obesity. Dr. Ahima's research is focused on the central and peripheral regulation of energy homeostasis, and glucose and lipid metabolism. He is interested in how adipocyte hormones, such as leptin, adiponectin and resistin, act in the brain and other organs. These studies which have important implications for the pathophysiology of obesity and diabetes, involve the use of transgenic mice, chemical and immunoassays, in vivo metabolic measurements, neurochemistry, and tissue culture techniques. Dr. Ahima has a clinical interest in obesity, diabetes and related metabolic diseases. He is an attending endocrinologist at the Hospital of the University of Pennsylvania, director of Obesity Unit of the Institute for Diabetes, Obesity and Metabolism, and director of the Penn Diabetes Research Center Mouse Phenotyping Core.